Enabling Windows Reseller hosting service offerings with 24/7 support and 100% (system redundancy included) uptime. Avoid the complexity of a private server. Choose between either Windows or Linux reseller hosting. The fact that websites hosted on the World Wide Web don't necessarily need to have the standard 1st / 2nd party provider and buyer arrangement can be a real benefit for certain businesses or individuals. 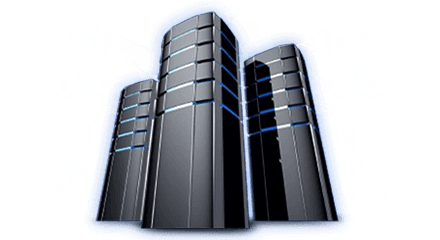 Canadian Windows reseller hosting allows you to place your additional hard-drive space and bandwidth 'for rent' to 3rd-party websites, without the need to rent a server from your existing web hosting provider. No one makes Windows reseller web hosting more affordable, more reliable or more completely in your control than 4GoodHosting, Canada's premiere web hosting provider. This type of arrangement is increasingly popular these days, and particularly so with the fact the reseller can offer web hosting as a means of furthering their ties with businesses or ventures where the potential for mutually beneficial terms exist. Web design firms, web developers, and systems integrators who provide web hosting services are the most notable ones that stand to gain from Canada Windows reseller hosting, but there are any number of other businesses that may find it similarly appealing. There are a whole host of pluses when weighing Canadian Windows reseller hosting, but we'll only make light of the most prominent ones. First, 4GoodHosting provides you with customized control panels and servers, and with your own Parallels Plesk Control Panel you can add, remove, and modify websites hosted within your reseller account anytime and entirely at your discretion. 4GoodHosting itself can remain transparent, with your customers having their own branded name servers (ns1.yourdomain.com, for example) and of course they'll have their own CP as well to make functional changes to THEIR website the same way you have explicit control over the space. In addition, another strong selling point for Canada Windows reseller web hosting is the fact that you take on no responsibility for the function of the server(s) itself. Hardware, software, and connectivity issues are the responsibility of the provider, and 4GoodHosting boasts an excellent track record for reliability and timely upkeep when necessary in this regard. You focus on promoting the web hosting you have available, and we'll see to it that it's ready to go with optimum functionality. 4GoodHosting is your best choice for reseller hosting, and weâ eager to show you how we can make it work to your benefit. Web based Mail Check your email via your website! Mailing Lists Powerful Majordomo mailing list manager installed! Located in Burnaby, British Columbia. Features include Redundant UPS, air conditioning, generator backup and smoke detection/fire protection systems. The facility is under 24/7 remote camera surveillance and security guard patrol. Their own branded name servers (for example ns1.yourdomain.com, ns2.yourdomain.com, etc). Our name never has to appear to your customers. Their own control panel, giving them administrative control over their site. Your own logo displayed on your clients control panel. Our accounts are the ultimate in branded reselling solutions.